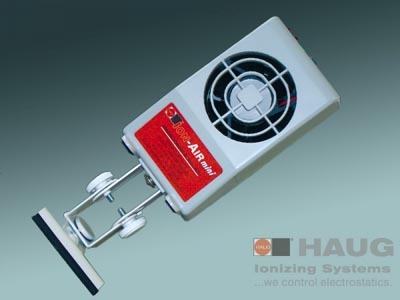 A high-voltage source integrated into the unit with fine metal pins produces positive and negative ions. A blower generates an air stream enriched with these ions which is used to neutralize electrostatic charges. with integrated discharging pins and microcomputer for fault analysis.